1. The ubiquitous AI – Artificial Intelligence has been a hot topic for some years at the WEF, but in 2019 it is a star. Its technology is everywhere – in our homes and our workplaces, and it is helping shape the world we live in and how we see it. For some firms, like Reuters and Majid Al Futtaim’s shopping mall, the forum was a platform to launch their AI solutions. 2. Clean energy now – Even oil-based economies agree that it is important to consider alternatives. Climate change and investor pressure are pushing companies to re-think their strategies and invest in the production of cleaner energy with help from more technology. 3. 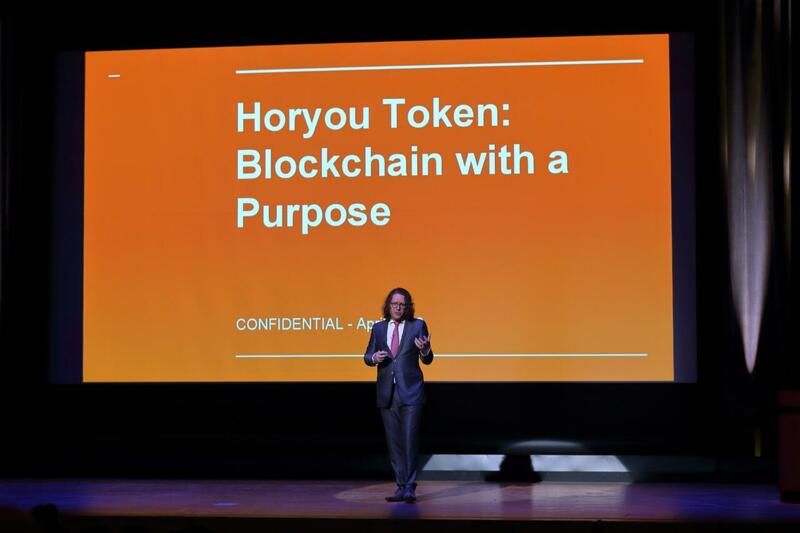 Blockchain is the name of the game – Speaking at the Blockchain Economic Forum, Horyou’s founder and CEO, Yonathan Parienti, presented the concept of Blockchain with a Purpose and HoryouToken. As a disruptive decentralized technology, Blockchain is impacting not only the financial system but also the healthcare, philanthropy, and insurance industries among others. And the World Economic Forum gave it an important exposition. 4. The future of work – It’s already happening. Humans and machines now coexist at the workplace. Companies and countries are discussing the possibility of designing strategies to make this transition smooth and collaborative, without threatening jobs and incomes. 5. Environment matters – The WEF opened its stage to Sir David Attenborough, who was awarded for his lifetime contribution to the promotion of the protection of animal life, as well as Prime Ministers Jacinda Ardern, from New Zealand, and Mark Rutte, from the Netherlands, who spoke about the urgent need to protect the environment. The private sector also showed its engagement with the cause of the planet – a group of 50 CEOs working across 150 countries met to discuss ways to reduce emissions. 6. SDGs in the Spotlight – Besides setting a dedicated area for the UN Sustainable Development Goals, the WEF nurtured many debates around them. On the Forum’s platform for public-private cooperation, business projects were presented on topics including sustainable consumption and production, mental health, youth empowerment and disability inclusion. 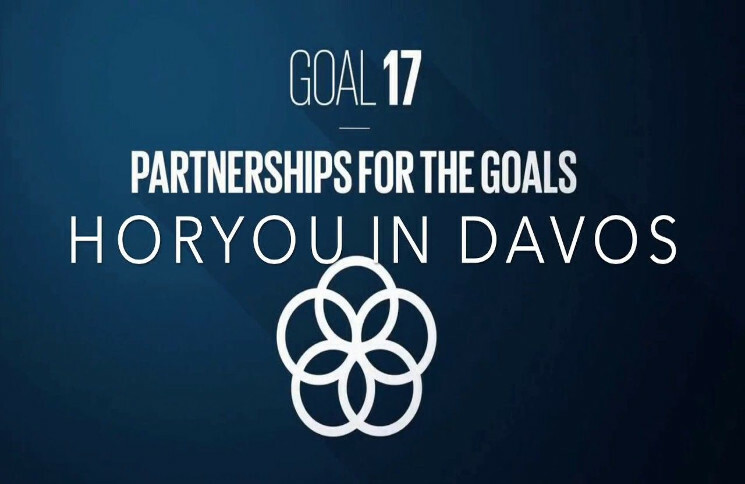 Want to know more about HoryouToken and how Horyou supports the SDGs? Follow us on our social media channels and on Horyou, the social network for social good. On the 4th of January this year, the latest UN International Days were celebrated officially for the first time. World Braille Day celebrates the inclusion of more than 1 billion people with some degree of visual impairment through the reading platform that gives them more chances to thrive. The World Braille Day is the 161st UN International Day marked on the UN Calendar, and one of the many awareness days that contribute to spread the word about the UN Sustainable Development Goals and the Agenda 2030. The history of the UN Days goes decades back, the first being the UN Day, on October 24th, 1948, which was set to celebrate every year the anniversary of the Charter of the United Nations. Since then, the UN has maintained the tradition of reminding the world of and promoting actions for many of its challenges, including Education (January 24th), Women (March 8th), Health (April 7th) and Democracy (September 15th) – all closely related to the UN Sustainable Development Goals. The topics were typically decided in a General Assembly on proposition from one or more Member States, and their celebrations declared by the Organization’s specialized agencies including UNESCO, UNICEF, FAO or UNHCR, to name but a few, in relation to their mission statement. Most UN Days celebrate specific historical facts that marked the related social movement and were officialized later. The International Women’s Day, for instance, has gathered more and more supporters throughout history and March 8th rallies around the world remember the early 20th Century feminists’ fight for gender equality (SDG 5). Celebrated on June 20th, the World Refugee Day goes back to the 1951 UN Convention, a few years after the end of WW2. 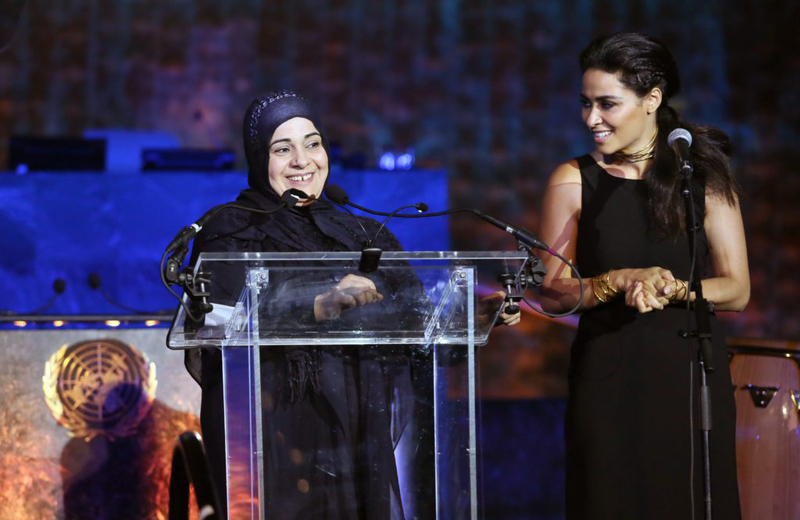 They commemorate the strength, courage and perseverance of millions of refugees, resonating with the motto of the Agenda 2030 “Leaving No One Behind”. Along the same lines, we invite all social good doers to share their initiatives, inspiring thoughts and actions relating to the UN Days within our social good ecosystem on horyou.com, the social network for social good. In so doing, they may collect “Lights” from all continents, and receive HoryouToken (HYT), the first Utility Token supporting social and economic inclusion. They may also foster the SDGs through our “BlockChain with a Purpose”. It’s the 21st century and, more than ever before, economic development can’t dispense with sustainability. 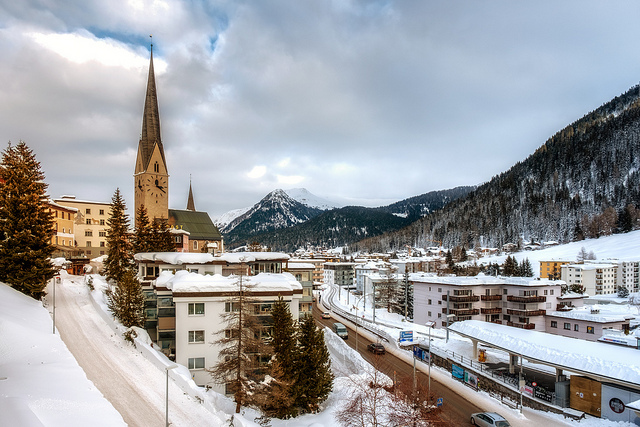 And the World Economic Forum in Davos is the right place to foster the UN Sustainable Development Goals as key to economic prosperity. 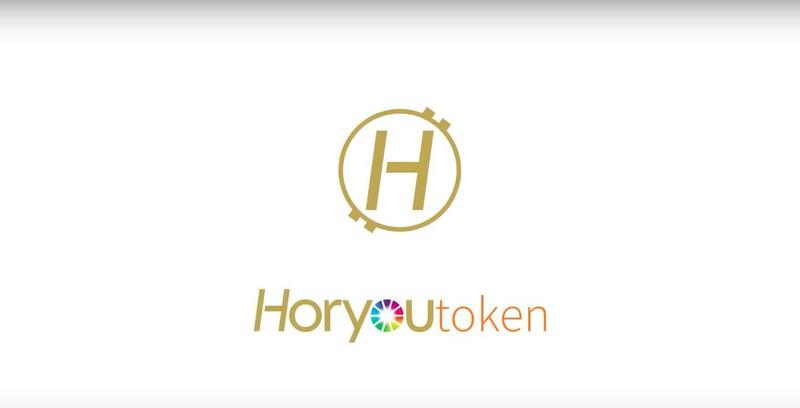 Horyou is there to talk about a most disruptive if innovative technology, namely the HoryouToken*, a cryptocurrency for Inclusion and Sustainability built on the concept of Blockchain with a Purpose. 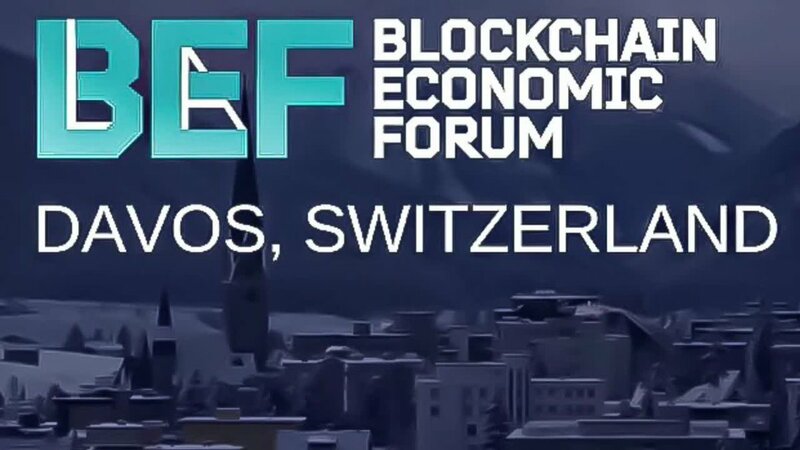 Horyou was invited at the Blockchain Economic Forum, taking place in Davos from 24-26 January to demonstrate in which ways HoryouToken can support and foster the SDGs. With a significant high profile audience, the event gathers heads of States, alongside government officials, investors, entrepreneurs and leaders of the new economy to review cutting edge topics in panels and roundtables, or during evening receptions and speed networking breaks. 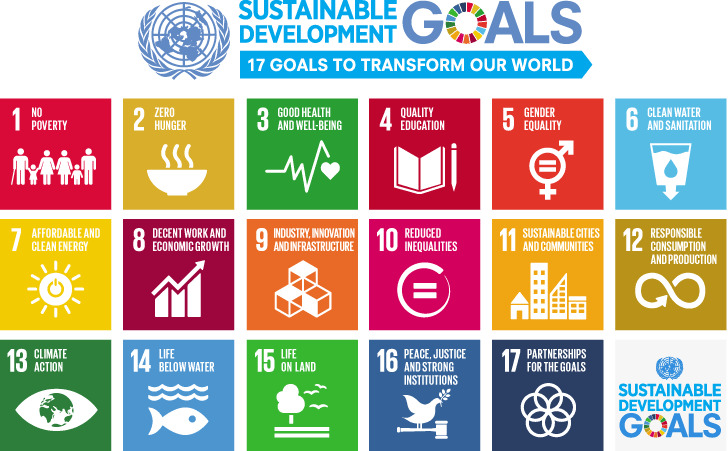 Yonathan Parienti, founder and CEO of Horyou, underscored the potentially strong impact of Blockchain technology on the UN Sustainable Development Goals to democratize the otherwise hectic funder/funded process. “It is not about speculation but about Blockchain applications with real value to society via providing support to constructive initiatives aimed at promoting sustainability and inclusion. Everyone can be a force for good, everyone can share inspiration and be a change agent”, he asserted. This year, the World Economic Forum has provided a larger space to sustainability, proving that the global leaders are showing more concern to the future of our planet. 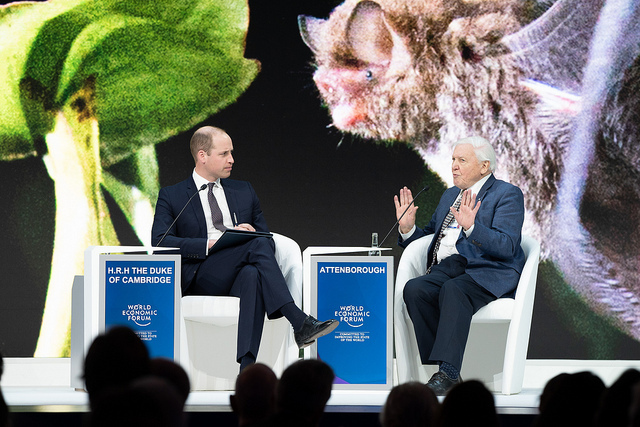 Thus the presence of 92-year-old naturalist Sir David Attenborough, hardly a self-serving political star, who evoked the future of our planet in an interview with Prince William. “We have to recognize that every breath of air we take, every mouthful of food we take, comes from the natural world. And if we damage the natural world, we damage ourselves. We are one coherent ecosystem. It’s not just a question of beauty, or interest, or wonder – the essential ingredient of human life is a healthy planet”, he uttered. 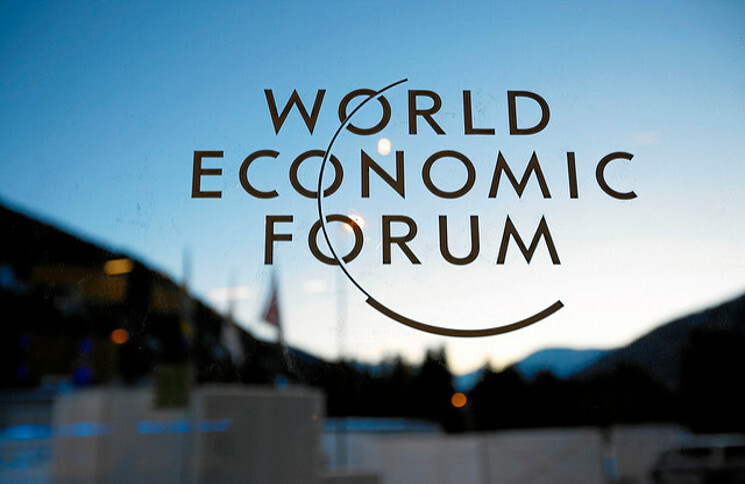 Since 2015, the WEF has developed a Strategy for 2021 that aims to ensure a highest level of sustainability for its offices and events, as well as to strengthen the integration of sustainability practices into its business processes and global operations. The strategy covers six priority areas comprising air travel emissions, sustainable design and branding, low impact ingredient catering, supply chain, natural energy resources and work-safety practices. Last year, the ISO 20121 meeting became independently certified “sustainable event management”. The Forum has since followed a strict methodology to set sustainability into its internal policies and processes, covering a range of event and activities, ranging from the materials used for temporary structures and decoration, to energy use, food and beverages, waste management, and transportation. In addition, the Forum has sought to ensure equitable procurement policies, fair employment practices, health and safety of its staff and participants, and meaningful engagement with local communities. The Annual Meeting’s carbon footprint is also measured and compensated for in an internationally recognized manner: having calculated the event’s footprint, the Forum then compensates it by buying the corresponding amount of carbon credits from South Pole, which supports emissions reduction projects. We’re in 2019 and if you’ve still not heard of Blockchain I would assume you’ve been out of this planet for a while. The disruptive, innovative technology that is essentially known for revolutionizing the financial world through cryptocurrencies has been a hot topic since 2017 when Bitcoin value reached a peak and all investors wanted to set foot in this promising market. Since then, a lot has happened: While pioneer cryptocurrency Bitcoin was jumping up and down, new cryptocurrencies were created whose outlook and fate look promising though not totally clear, let alone assured, subjects as they are to the vagaries of the volatility of speculative markets. It is in that context albeit with the aim of staying above the turmoil, that HoryouToken was launched last December to support and promote social and economic inclusion, as well as propose a fresh approach to the cryptocurrency industry which posits that Blockchain can and should come with a Purpose. Thanks to a traceable and intelligent philanthropic feature called Proof of Impact that enables each Blockchain transaction to support social good causes, it allocates resources to social entrepreneurship projects, non-profits and social good doers, and members of the social network for social good, Horyou.com. The idea behind the creation of HoryouToken is that Blockchain can advance the UN Sustainable Development Goals, via social impact and economic redistribution. More specifically, it can impact SDG1 (No Poverty), SDG2 (Zero Hunger), SDG8 (Decent Work and Economic Growth), SDG9 (Industry, Innovation and Infrastructure) and SDG10 (Reduced Inequalities). Yet, there are many other uses for Blockchain that are not solely connected to cryptocurrencies. 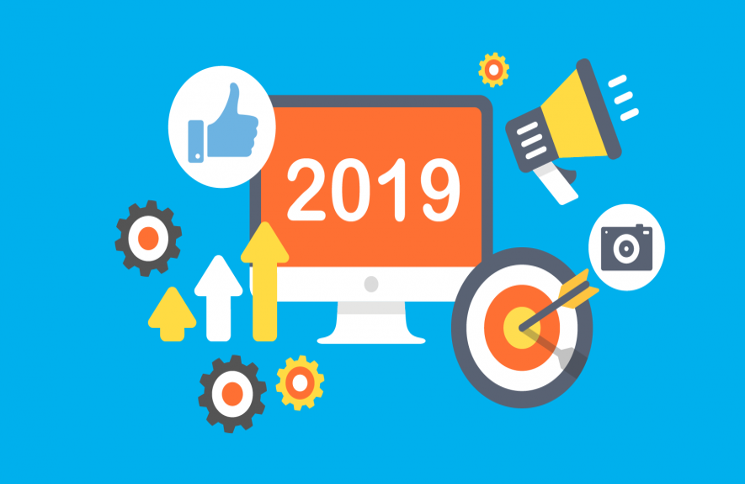 Social entrepreneurs may find a world of possibilities within the technology, ranging from supply chain solutions, to management of unnecessary waste and pollution (SDG12), strengthening democracy, reinforcing government institutions and fostering transparency (SDG16). Contracts, data sharing and copyright issues would be safer and broker-free, which would reduce costs and increase access to services. E-government is a fine example. Having long invested in technology and adopted Blockchain since 2012, Estonia is now considered as one of the most unbureaucratic, smart states in the world. It is attracting new tech businesses and investors, developing workforce and turning into a more sustainable community (SDG11). Healthcare has also made interesting use of Blockchain, with digital records starting to be adopted all over the world and hospitals, cities and countries using them as a safe if smart way to handle health data. So, what does the future hold for Blockchain technology? Experts point to a clear social impact, with improved security, as well as compliance and traceability of goods and people. This would translate into healthier food through Blockchain in the supply chain and transportation, fair wages and the end of forced labor through smart contracts. And, of course, more functionalities for social-oriented cryptocurrencies and tokens to promote a fairer and more inclusive world. 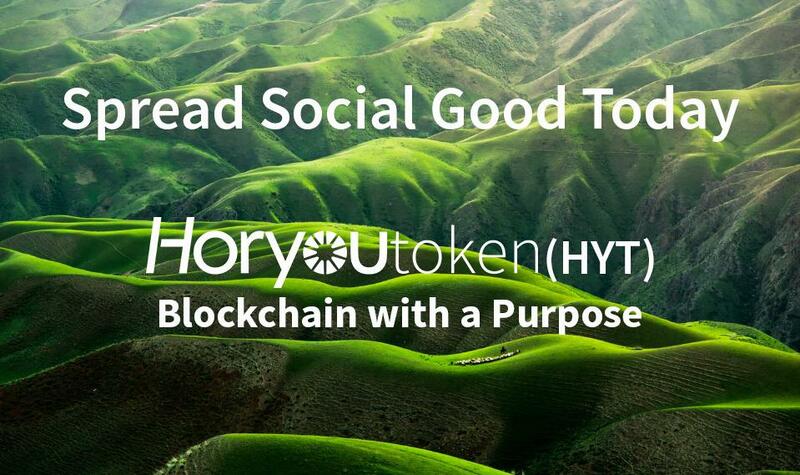 All reasons why for us HoryouToken, which by nature is the embodiment of Blockchain and cryptocurrency for social good, is a subject of pride. HoryouToken is listed at at LAToken and CoinTiger. Migration, poverty and food chain were hot topics of the UN Climate Change Conference, which takes place in Poland. Despite the “Act Now” motto of COP24, this year’s Conference of the Parties looked like a redacted version of the former editions, probably due to the obvious effects of global warming on our daily lives. And they indeed are being felt everywhere – from water scarcity in South Africa to floodings in the US, and from storms in South America to rising sea levels in the Atlantic. Nature is also transforming the way we live; everyone’s safety is being threatened and climate migration is becoming a serious issue. “Changing weather, floods and droughts in many places increasingly threaten people’s livelihoods. 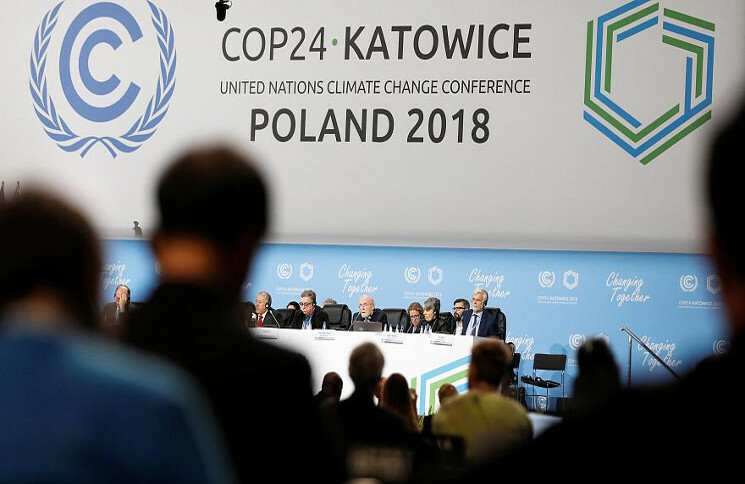 That is leading a lot of families to have to consider whether they can stay where they are, or try to live somewhere else,” said Koko Warner in a statement during the COP24. The UN estimates that over 258 million people live outside their country of origin, and global warming is expected to increase this number as it makes some areas of the planet uninhabitable. Currently, four times more people in the world are displaced by extreme weather events than they are by conflict. Climate change also affects food production. All over the world, farmers have seen their crops affected by heavy rains, droughts and extreme weather conditions for several years in a row, leaving most of them without predictable income and, ironically, with restrained access to food. As a result, they are bound to change their status from suppliers to requesters, and thus aggravate poverty and hunger.